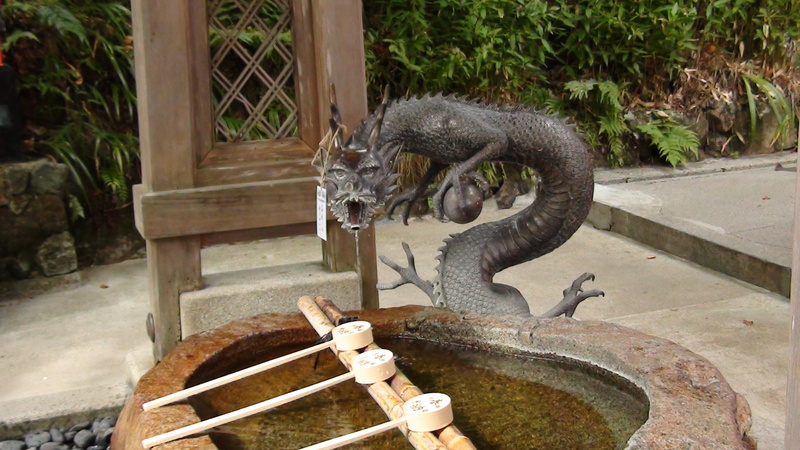 At a sacred temple in Japan, Kyoto, halfway up the mountain, is this sacred well, where the dragon fount is. The Dragon is considered the mightiest and most auspicious of the 12 animals of the Chinese zodiac. The dragon’s number, five is the luckiest of all the sacred numbers, so it fits that the dragon is the fifth animal of the series Dragon years. People born in the Dragon years are said to be creative, expansive, strong and lucky, so the babies born in a Dragon year are believed to be the most favored, likely to enjoy long life prosperity good health smooth birth and happy offspring, friendship and, honor – – all the blessings of a life lived well in accord with the will of heaven and the respect of men. Befitting as an Emperor who would be responsible for maintaining all of these happy conditions within his realm; the Dragon became the symbol that was reserved for the Emperor especially the five clawed dragon. So what is the Dragon known for. Aside from the things I’ve already taught you about in this blog, the Dragon is a shape shifter and he can change his size from the size of a small worm to being as big as the sky. This is why we see so many Dragon shapes in the clouds, because the clouds or the sylphs are replicating or showing us what is there in the reality. It can camouflage itself too. Think of the many colors of fluorite, because we many of us see our dragons in iridescent colors. It can hide within the clouds and lakes and rivers and then can also turn into water. Much of the research for this blog – came from astrologer, Dan Furst. ← Where to get GREAT Dragon supplies!